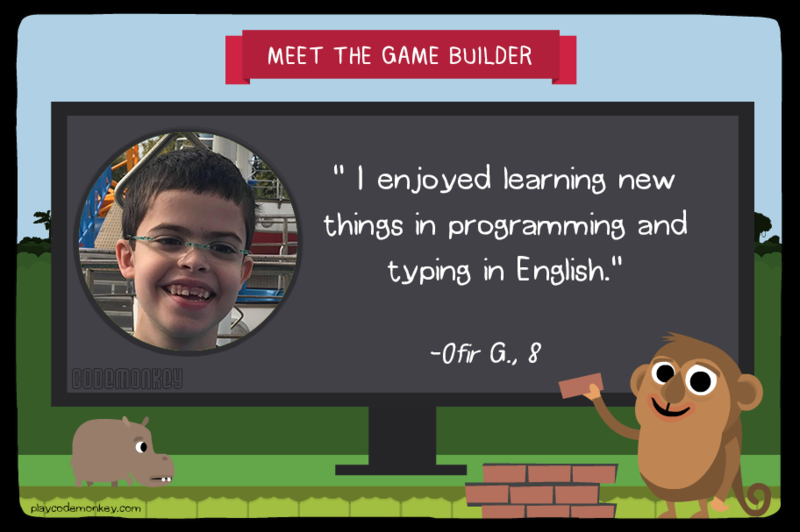 Welcome to Meet the Game Builder – CodeMonkey’s blog segment where students from all over the world share their experiences on what it’s like to build a game for the very first time on CodeMonkey. 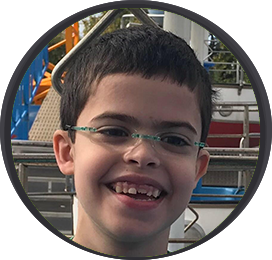 Today’s post features Ofir G., an 8-year-old student from Ramat Gan, Israel! What was the inspiration behind your game/s? Why did you choose the theme that you did? The inspiration for the game came from my school friends who played on the computer. I chose Game Builder because I wanted to build a game that would be hard and interesting. What was your experience like while learning how to build games on CodeMonkey? Did you enjoy the Game Design courses? If so, why? Yeah I did, I enjoyed learning new things in programming and typing in English. How many games did you create? On average, how long does it take you to complete a game? An hour a day for a week. Very happy. Satisfied. Feel successful. What is one piece of advice you have for those who have not yet created their own games? My advice is to first of all do the Frogger and Platformer courses. Afterwards, do the sprites animation course and try building your own challenges on the Create Challenges platform. I like to play piano, watch TV, play with my brother, play basketball and do family activities. Click here to play Ofir’s game! This is Santosh, parent of the child who actually made those games. He just uses my name for his account. Was wondering how the interview is gonna be conducted. Yes, please fill out this form together with your child. Does that answer your question? Previous PostPrevious NEW: Print Student Log-in Cards, Edit Usernames & More!